Q: Can your reconstruct my home after a fire? 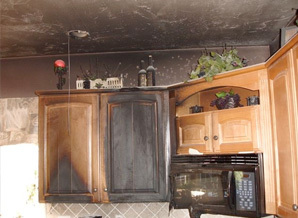 Q: The fire didn’t do much damage, but now my whole house smells like smoke—can you do anything about it? Q: My home was burnt by a fire and then flooded by the water used to put it out. Will I have to call multiple contractors to clean up all the damage?